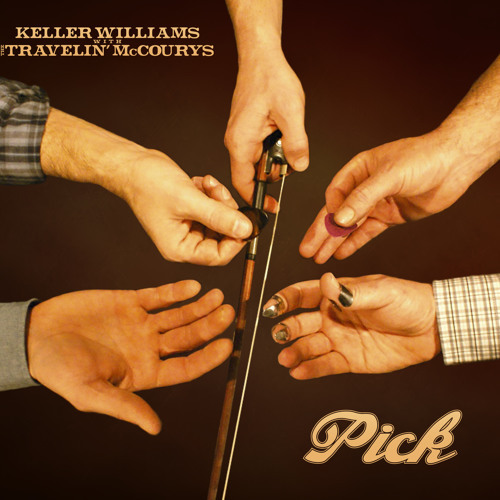 'Bumper Sticker' is off of the upcoming album 'Pick' by Keller Williams with The Travelin' McCourys, available July 3rd, 2012. Love me some keller grass. Download Bumper Sticker - Keller w/ The Travelin' McCourys from the Album "Pick"
Users who like Bumper Sticker - Keller w/ The Travelin' McCourys from the Album "Pick"
Users who reposted Bumper Sticker - Keller w/ The Travelin' McCourys from the Album "Pick"
Playlists containing Bumper Sticker - Keller w/ The Travelin' McCourys from the Album "Pick"
More tracks like Bumper Sticker - Keller w/ The Travelin' McCourys from the Album "Pick"